Little Princess Baby Girl Gift basket cute pink baby girl products to celebrate the arrival of the newborn princess to the family. We offer Free hand delivery of baby gift baskets in Toronto. Little Princess Baby Girl Gift basket. 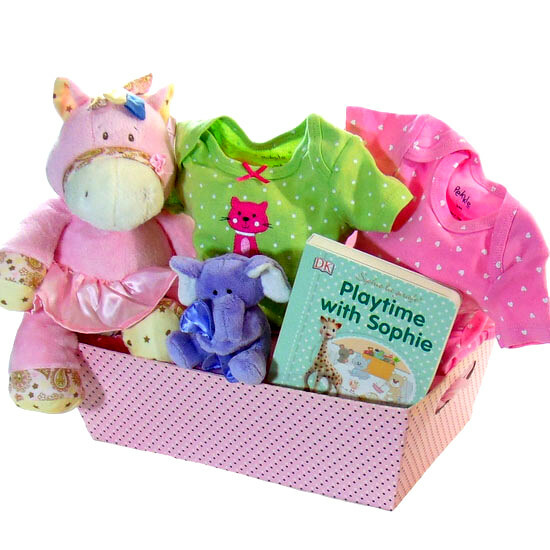 Cute pink baby girl gift box to celebrate the arrival of the newborn princess to the family. 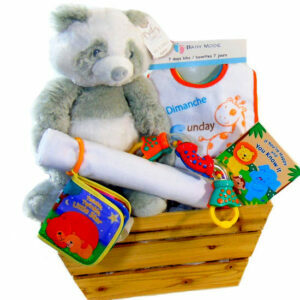 We offer Free hand delivery of baby gift baskets in Toronto. Princess Baby girl gift basket filled with pink open gift box. Pink baby Ganz horse stuffed animal with pink dress. Two baby body suits, purple Elephant squeaky toy and Sophie baby book. Shop for baby gift baskets from the comfort of you home or office. 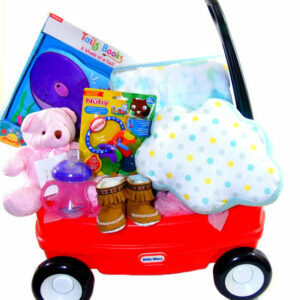 With our delivery service we hand deliver our baby gift baskets in the Toronto area for free. We deliver to homes, hospitals and office.